little time making its presence felt in baseball, football and basketball. 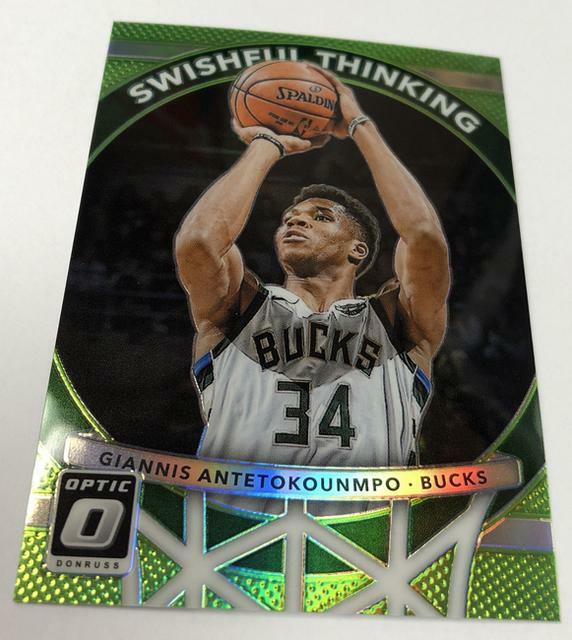 in hobby shops across North America intent on honoring the spectacular 2017 NBA Draft class while riding the wave of Optic-mania. 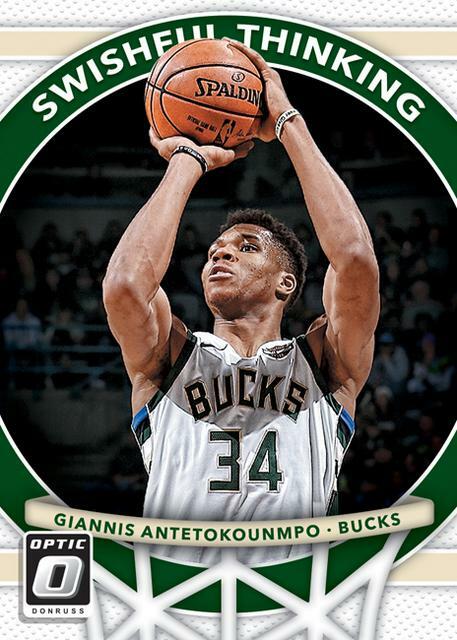 will deliver one autograph and 20 inserts or parallels. and exciting new Velocity Pink and Velocity Black. 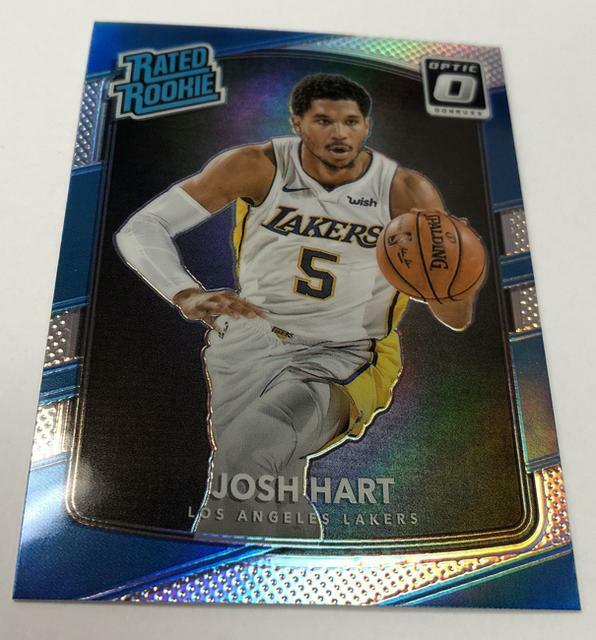 2017-18 Donruss Optic makes the Rated Rookies (and much of 2017-18 Donruss) shine. While the set still has some of the same retro vibe, the chromium stock changes things up both in look and feel. 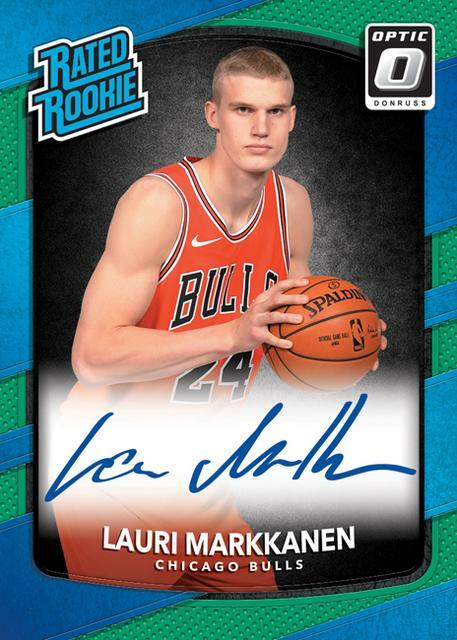 with each hobby box promising one signed card. uses that captivating shine to set itself apart. 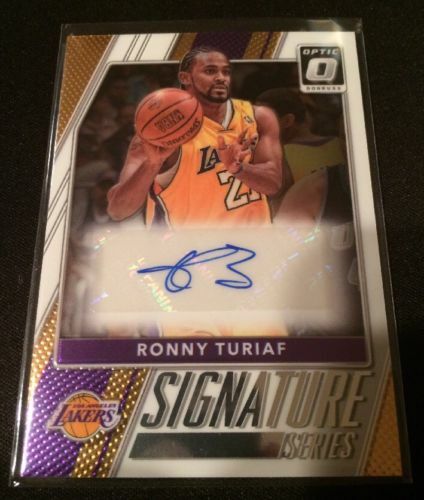 Each hobby box averages one autograph. 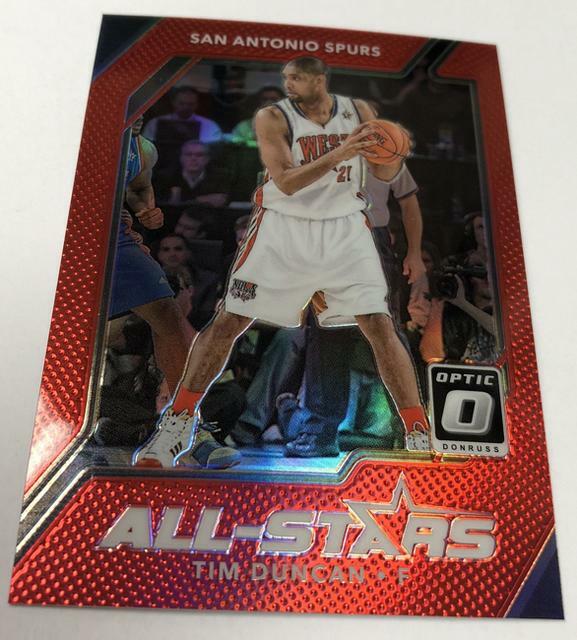 and these combine with inserts to come one per pack. 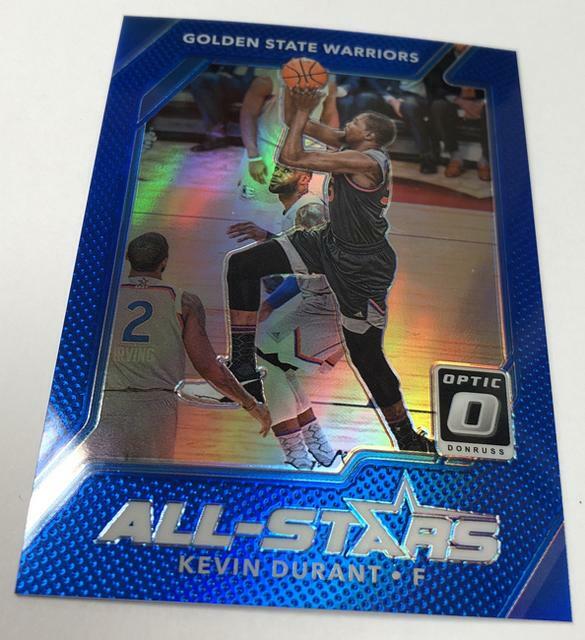 with hobby-only Holo, Blue (#/49), Gold (#/10), Green (#/5), and Gold Vinyl versions (1/1). 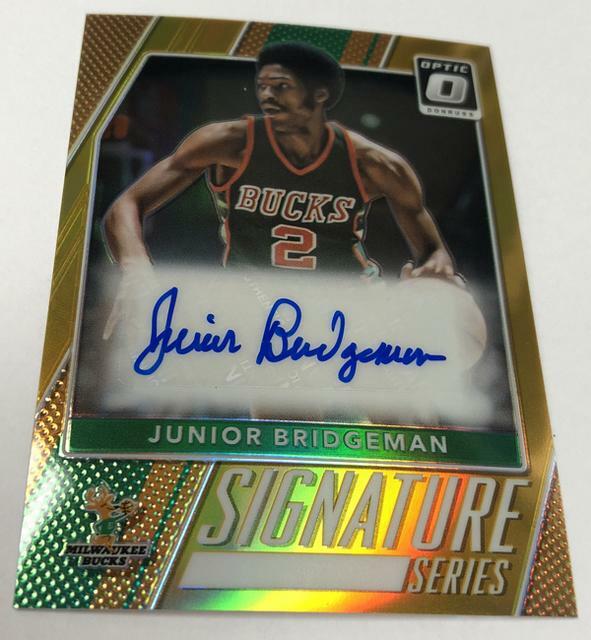 and Signature Series sets, which cover multiple eras of NBA talent. in the autographs. 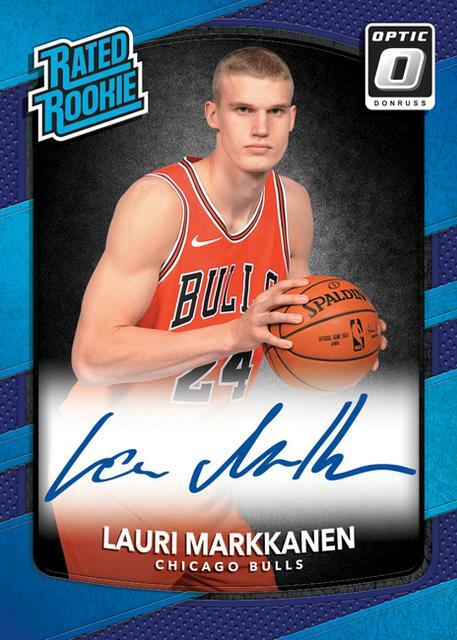 Specifically, in the Rated Rookies Signatures. 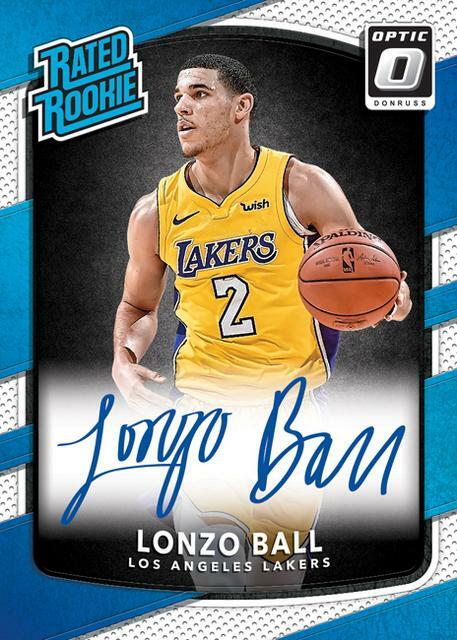 the icon Rated Rookie name and logo. Also, the autographs themselves come on-card. 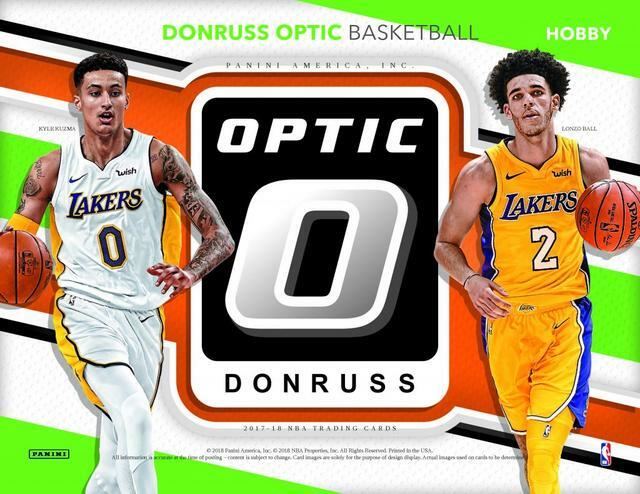 Signature Series, Dominator Signatures and Hall Dominator Signatures all make the jump to Optic. 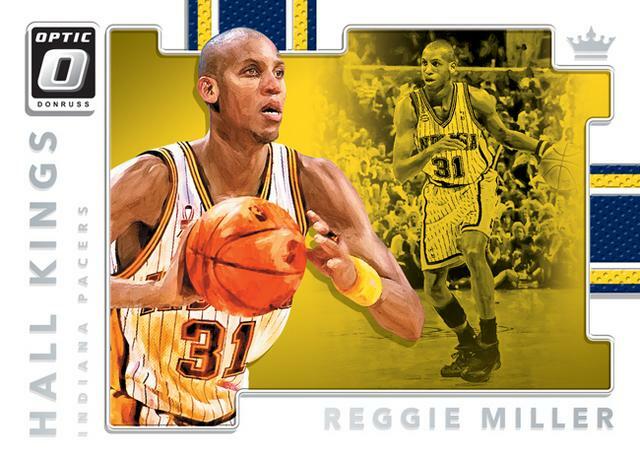 These highlight veteran and retired players. and the debut for Velocity Pink and Velocity Black. The Champ is Here, and The Rookies. These also have a full assortment of parallels. 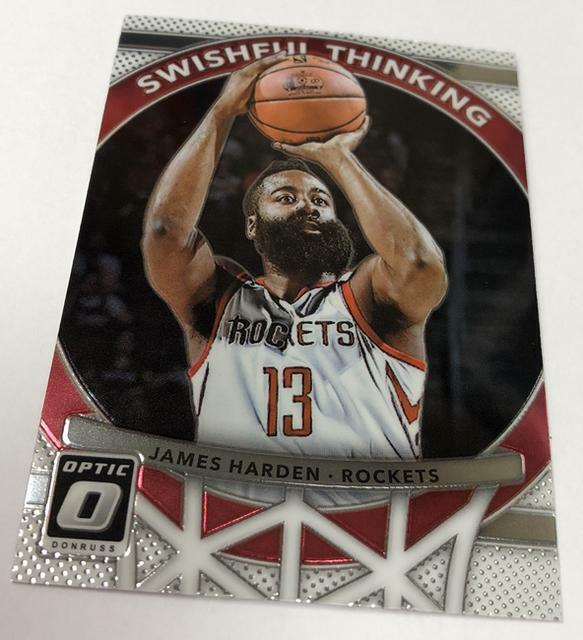 Every 2017-18 Donruss Optic hobby pack averages one insert or parallel. Many of the inserts are similar to the ones found in the main Donruss set. 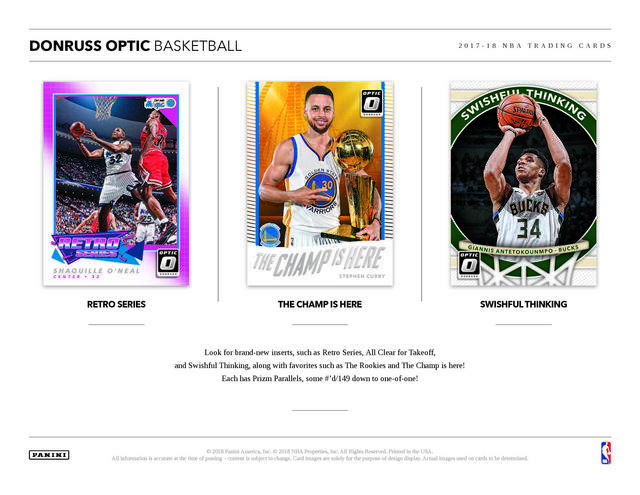 These include All-Stars, The Champ Is Here and The Rookies. Retro Series, Swishful Thinking, and All Clear for Takeoff are also in the product, albeit slightly tweaked. 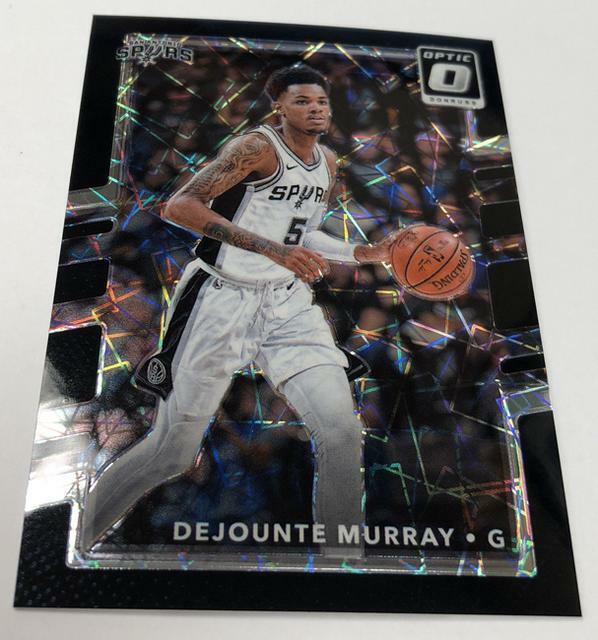 2017-18 Donruss Optic has various retail components as well. 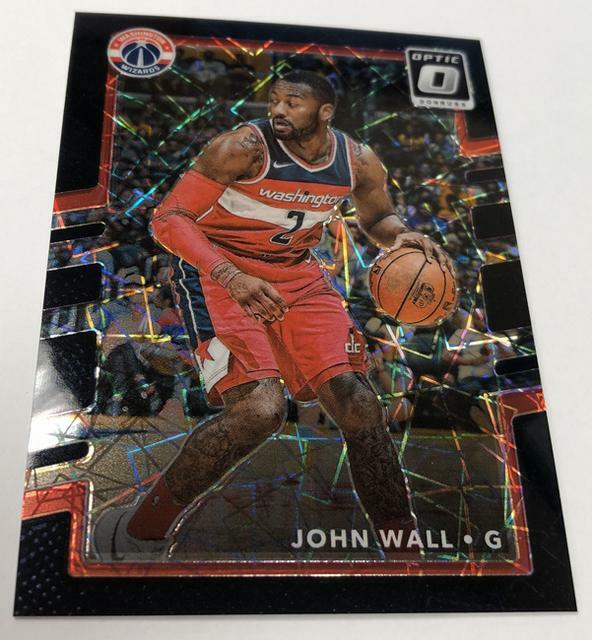 This means some additional exclusives not in hobby packs. 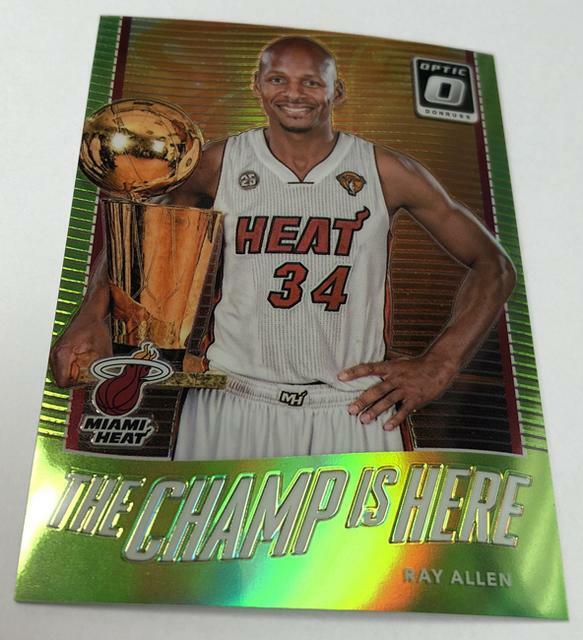 Across all retail packs, there are Silver Holo Prizms as well as scarce Checkerboard Prizms. 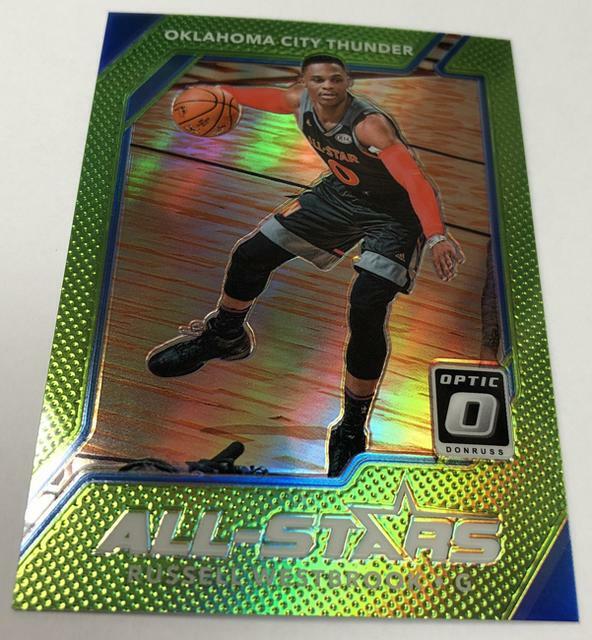 Retail multi-packs each come with three exclusive Blue Velocity Prizms. 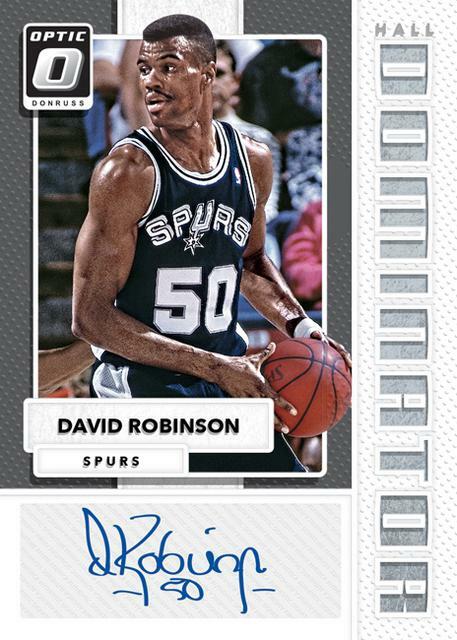 Some autograph parallels are also specific to certain levels of retail. 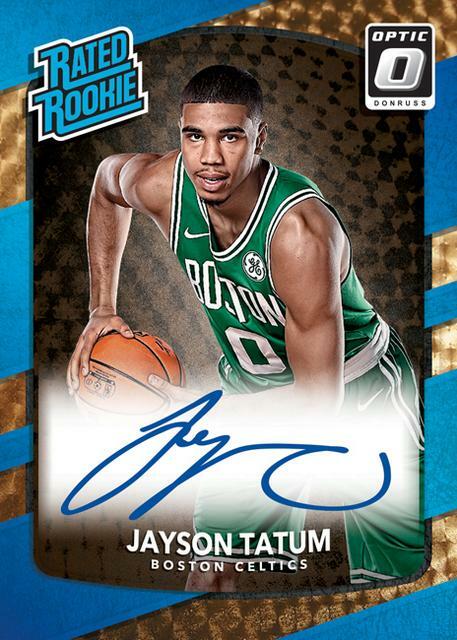 Rated Rookie Signature Black (1/1) are only in regular retail. One-of-one Checkerboard versions are exclusive to blasters. 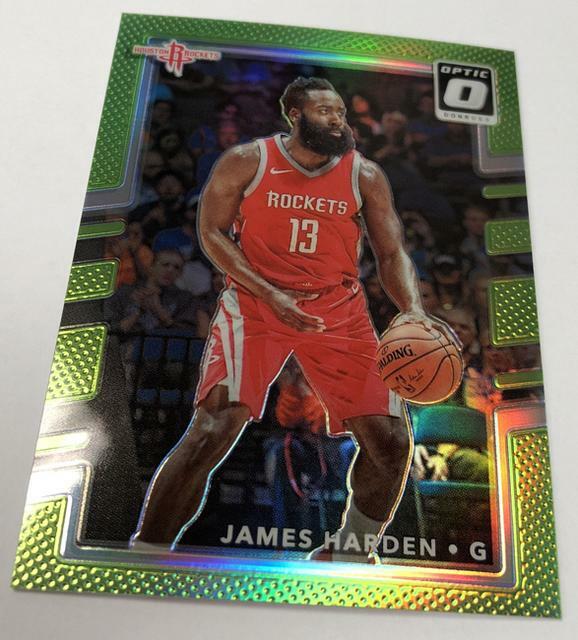 Gravity feed packs have Signature Series Green Prizms (/5). 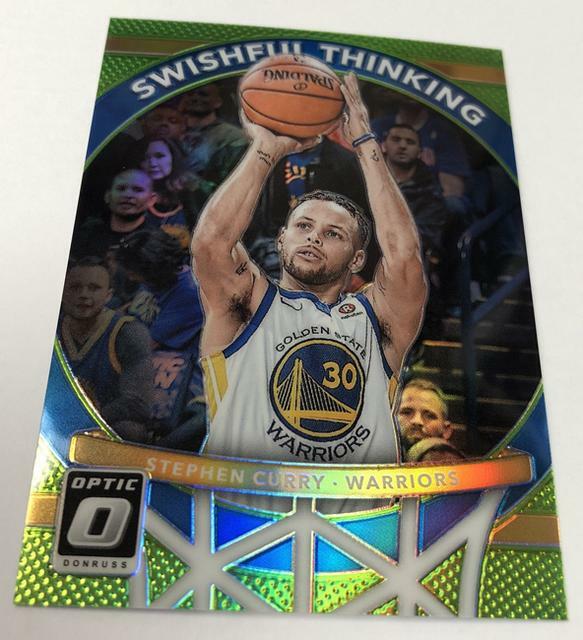 2017-18 Donruss Optic has some retail-only inserts as well. 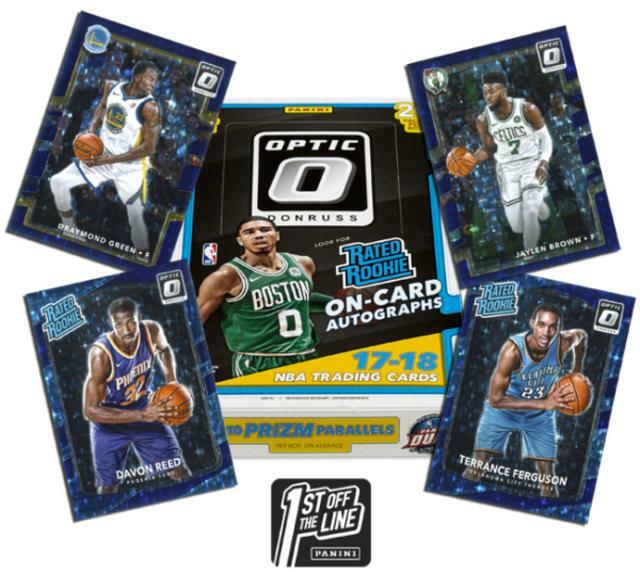 Panini’s online store is the only place to find a special 2017-18 Donruss Optic Premium Box Set. 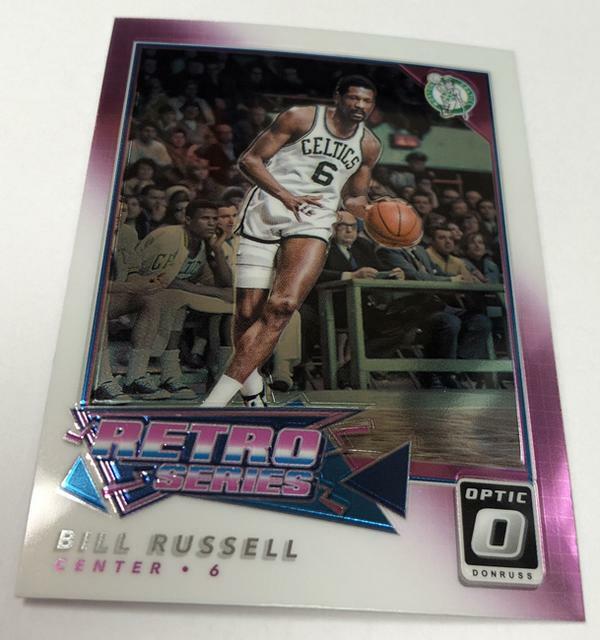 This has the entire base set printed on premium opti-chrome stock. 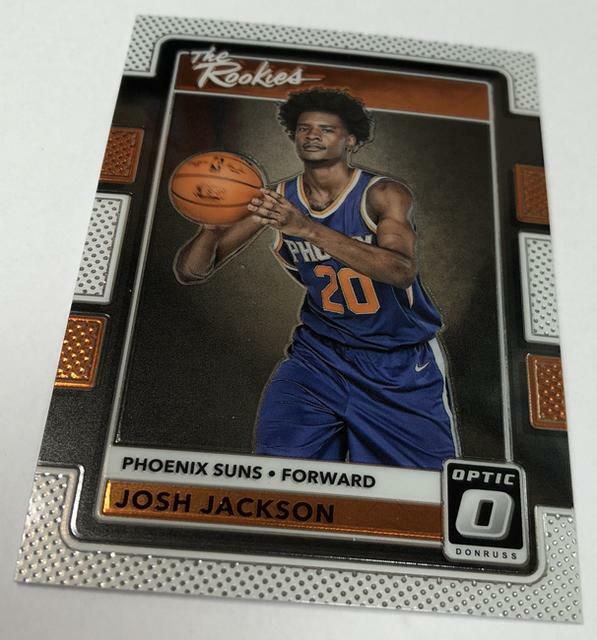 Each of the factory sets also has an exclusive Rated Rookie Sigantures card. The checklist here is limited to just ten top-tier players. Rookie Kings and Hall Kings. for Hall Kings, Rookie Kings and Court Kings on an exclusive basis. The Blues are /59 and Blacks are 1/1s. 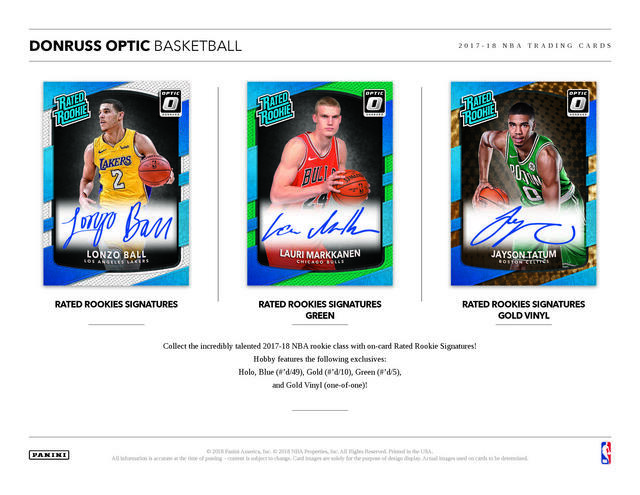 Signature Series Holo autographs also will only be found in these. Lastly there will be 12-card hanger boxes ($9.99 SRP) with 36 boxes in a case. 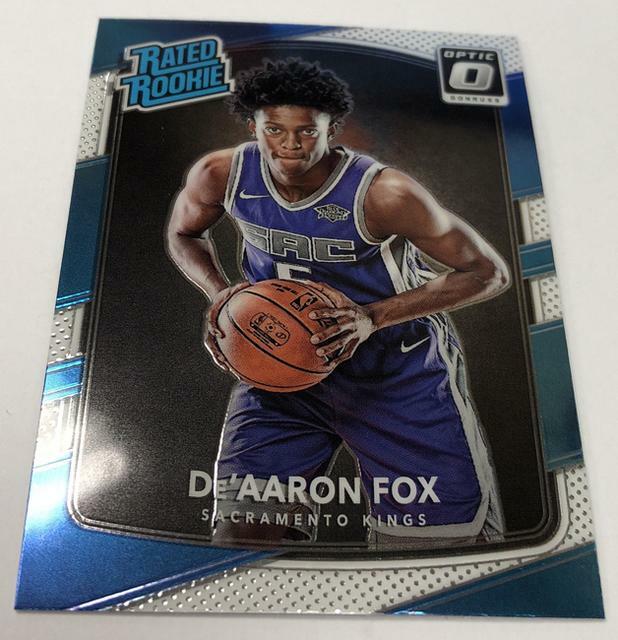 and Rookie Kings as well as Pink base Prizms. 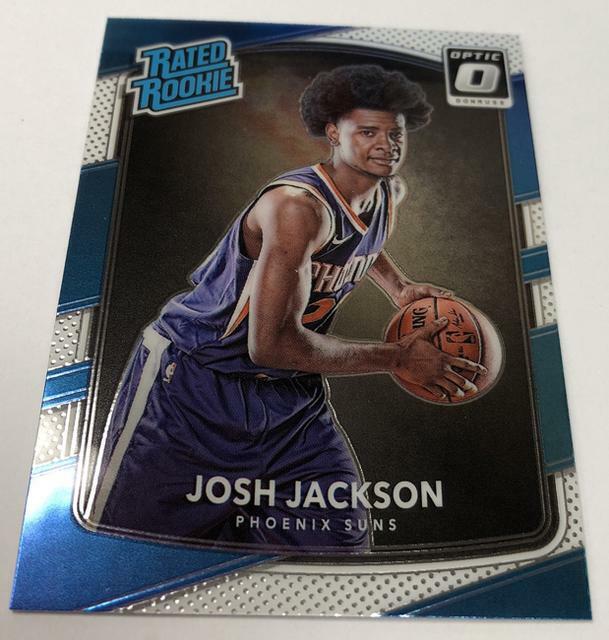 and Blue Velocity Prizms for all base cards. 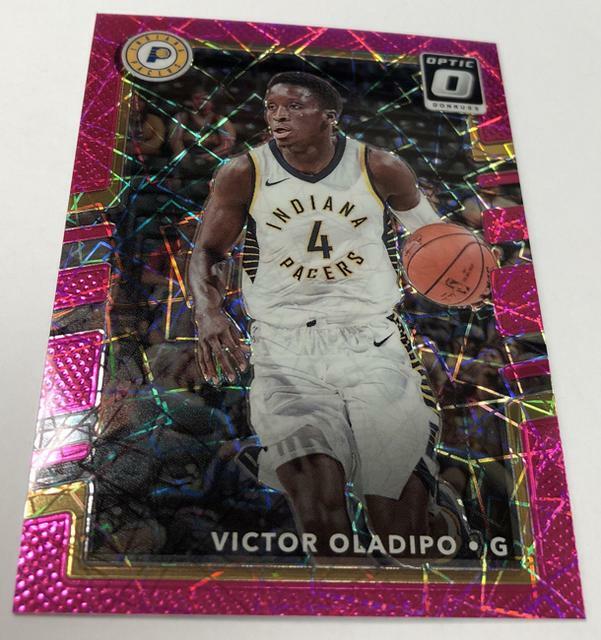 and the Prizm parallel here will include Gold Vinyl 1/1s, Velocity Pink and Velocity Black among the possibilities. (also with parallels) as well as Signature Series, which also will be paralleled. The Rookies, All-Stars and The Champ Is Here. They’ll all be paralleled with cards from 149 copies or less in the rainbow. 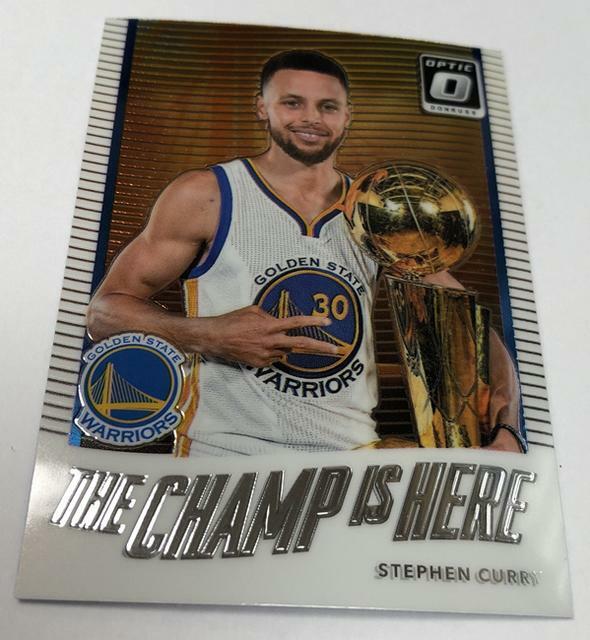 A base set size was not announced. 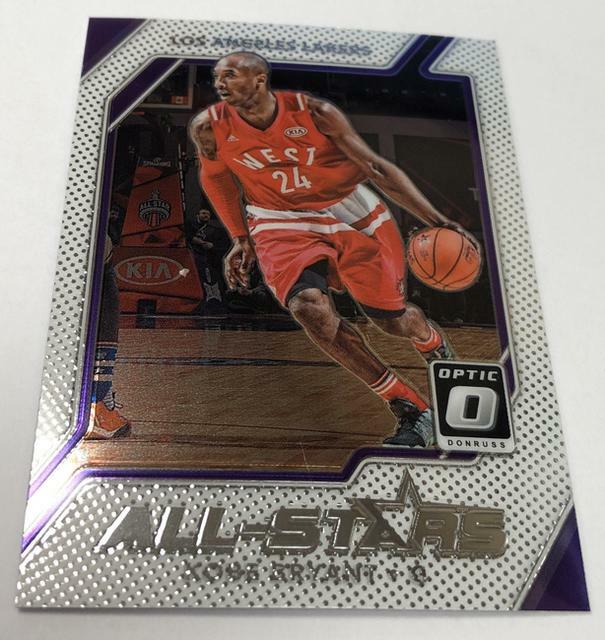 Packs will carry a suggested retail price of $4.25 ($85 per box). Green (#’d/5), and Gold Vinyl (1/1). or inserts inside its 20 four-card packs. 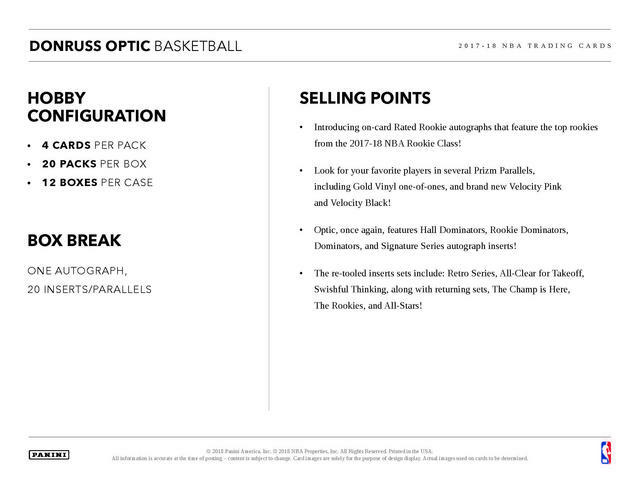 Each case will have 12 boxes. 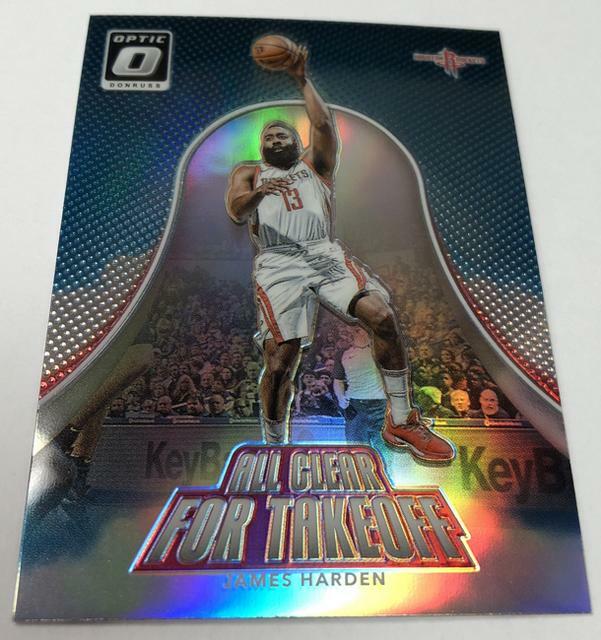 There will be blaster and hangar boxes with their own exclusive parallels. Dominators Signatures and Signature Series, each with serial-numbered parallel versions. 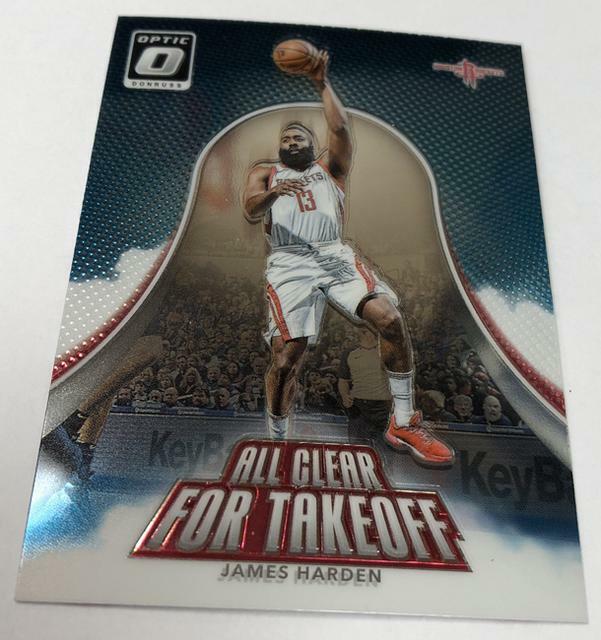 All Clear for Takeoff, and Swishful Thinking, along with others such as The Rookies and The Champ is Here. 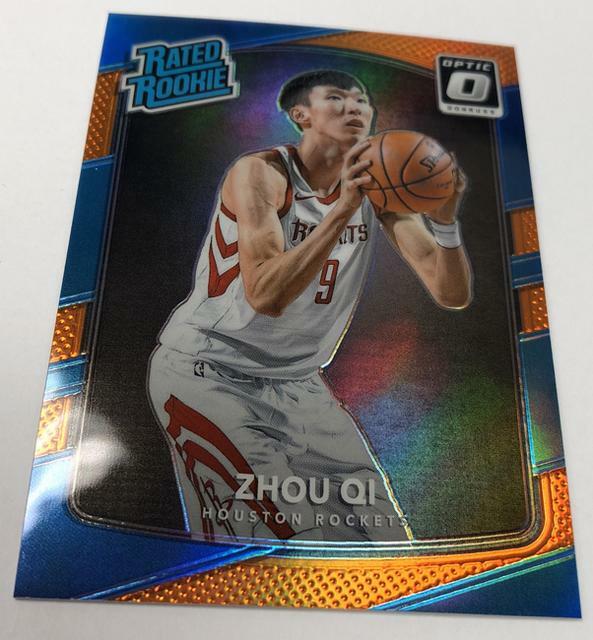 Each has Prizm Parallels, some #’d/149 down to 1/1. and new Velocity Pink and Velocity Black versions. 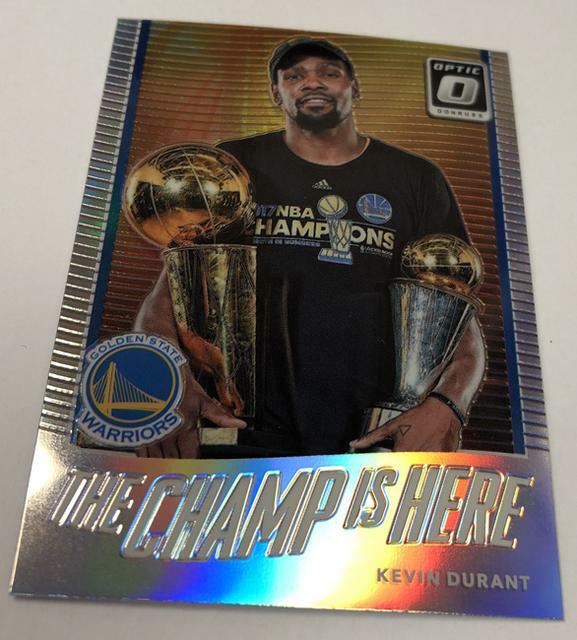 to come in this second edition of Panini America's Optichromed version of its Donruss set. for both inserts, parallels and autographed cards. and Gold (same numbering) and Hall Kings with the same parallels and volumes. 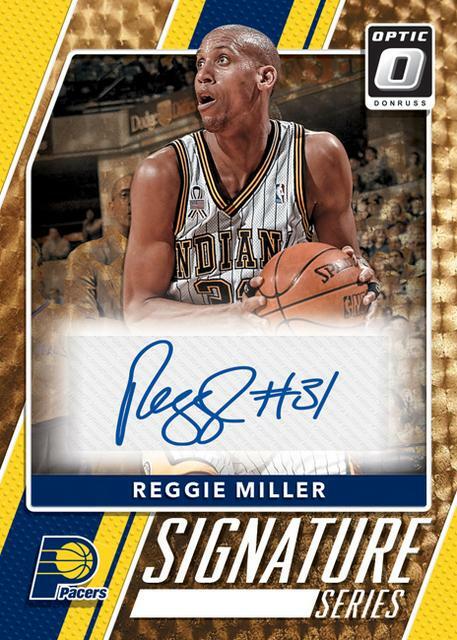 and there will be other veteran autographs in Signature Series. 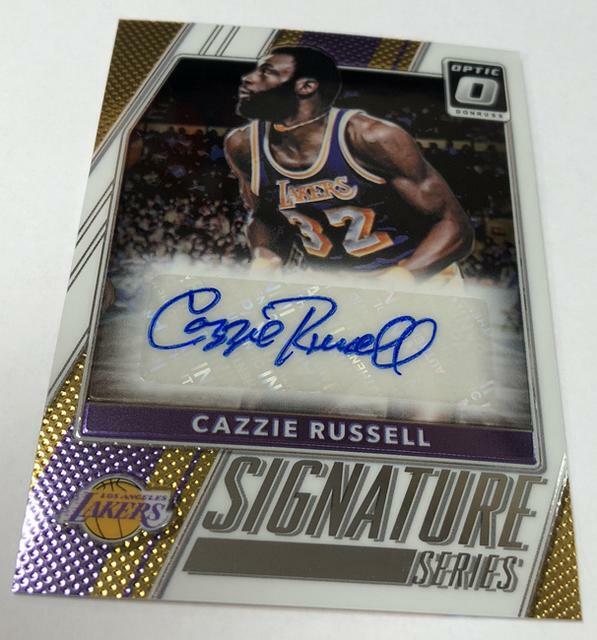 Prizm Checkerboard, Purple Prizm, Purple Signatures Prizm and Black Signatures Prizm (1/1) in the product. 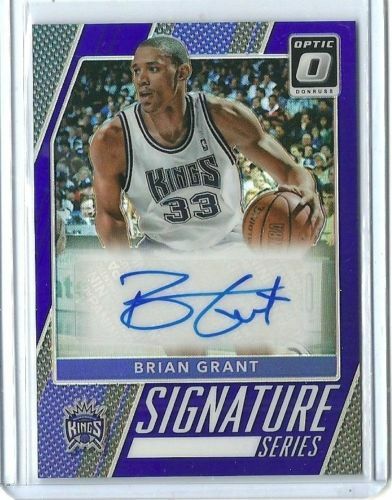 for Signature Series, Court Kings, Rookie Kings and Hall Kings. only be found in these. 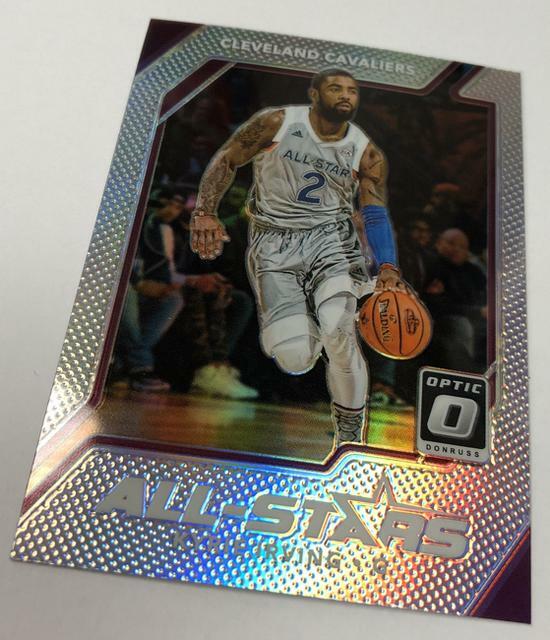 Court Kings and Rookie Kings as well as Pink base Prizm. 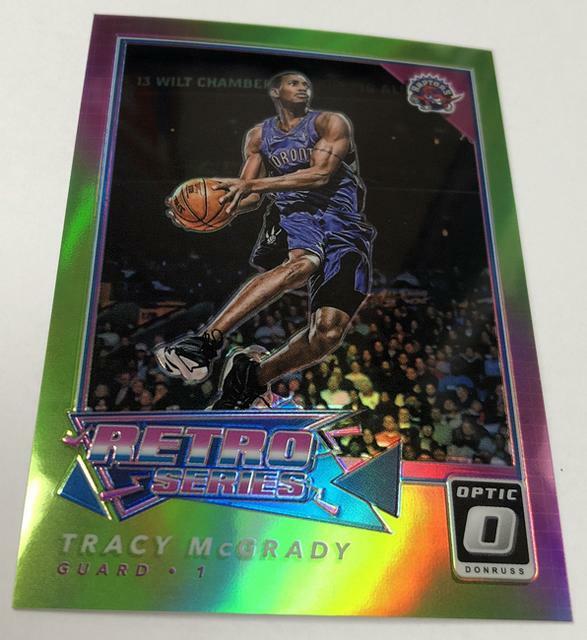 and Blue Velocity Prizm for all base cards. with the same parallels and volumes. 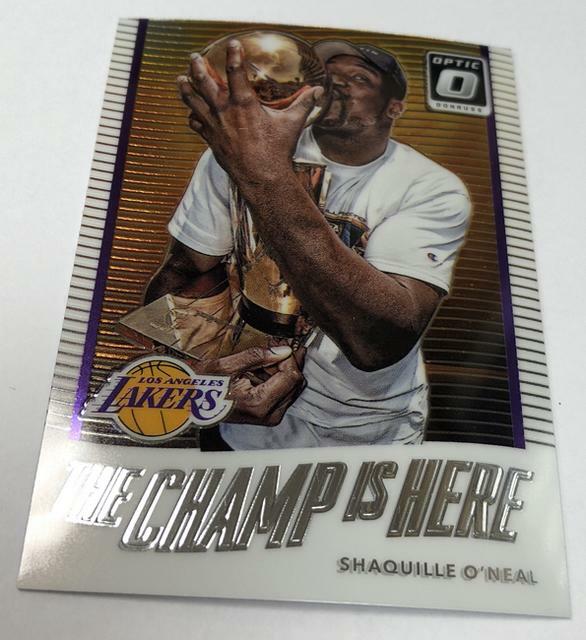 Other purple parallel cards in this one will be found for Signature Series, Court Kings, Rookie Kings and Hall Kings. for Hall Kings, Rookie Kings and Court Kings on an exclusive basics. The Blues are /59 and Blacks are 1/1s. 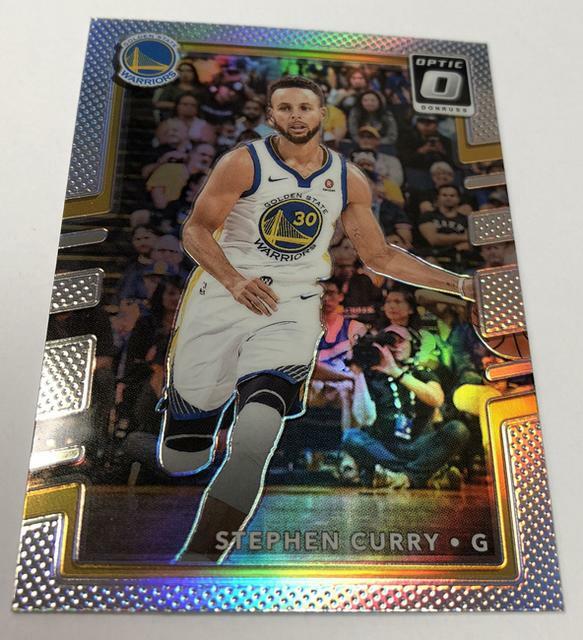 Signature Series Holo autos also will only be found in these. 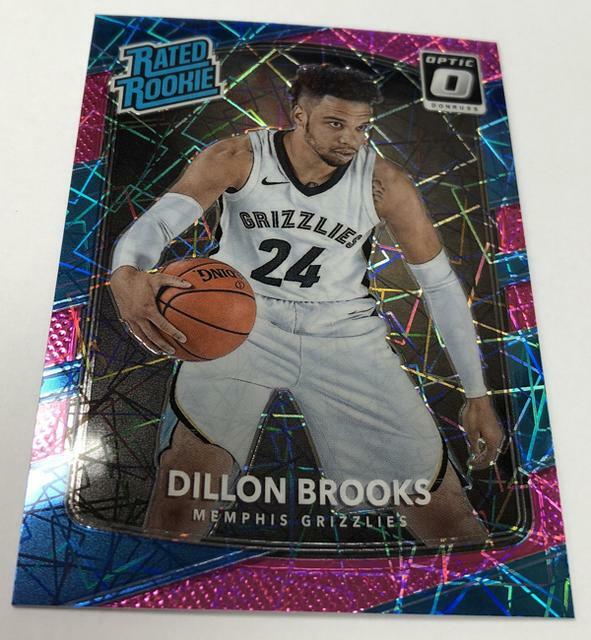 and Rookie Kings as well as Pink base Prizm. 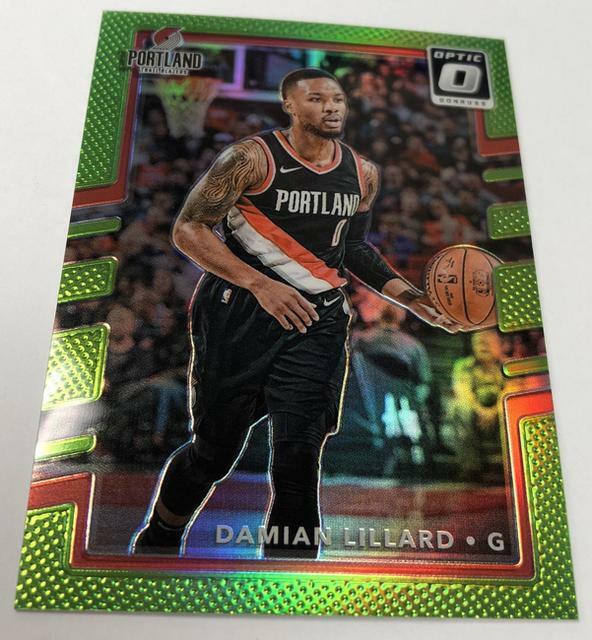 The highlights of 2017-18 Donruss Optic are many and include . 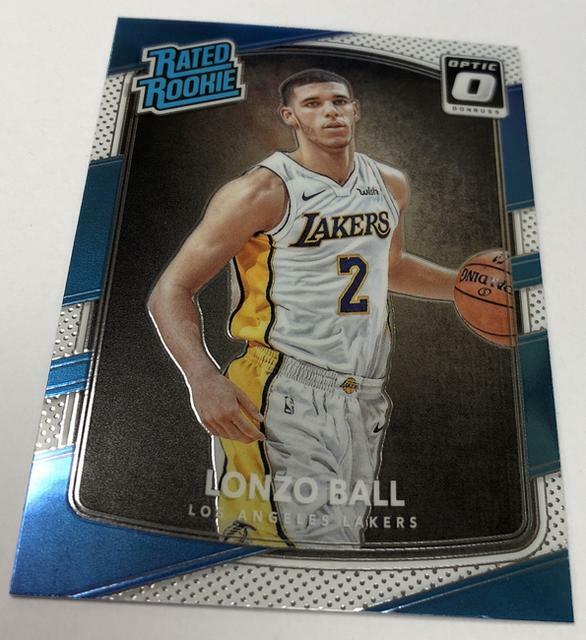 . .
and Gold Vinyl 1/1s parallels. 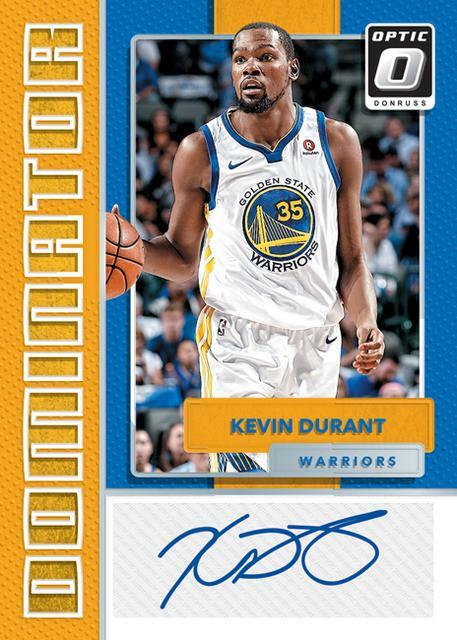 - Autograph inserts including Hall Dominators, Rookie Dominators, Dominators and Signature Series. 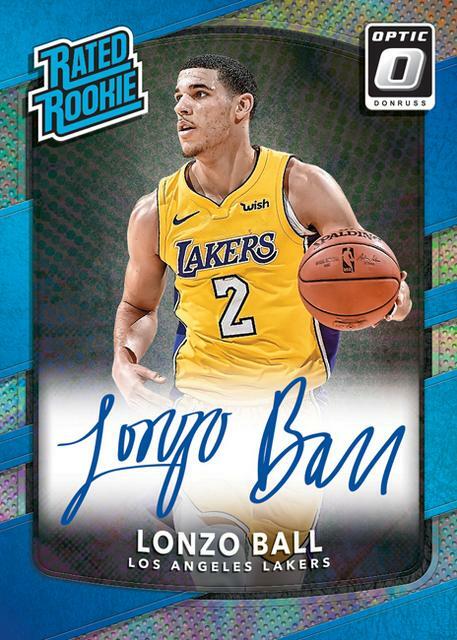 - returning inserts include The Champ is Here, The Rookies and All-Stars. 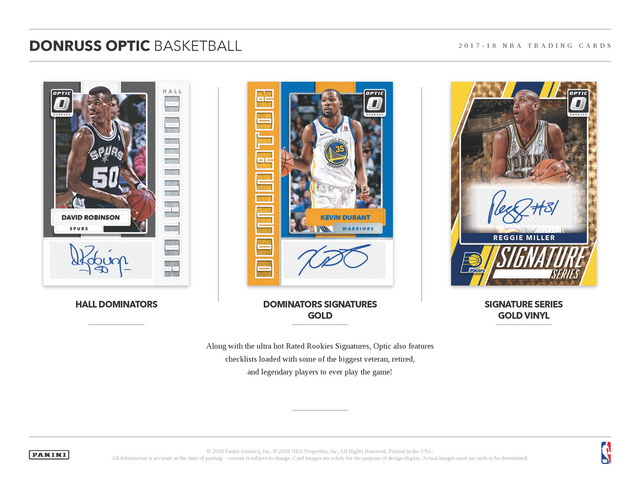 - 1 Autographed Card in Every Box! 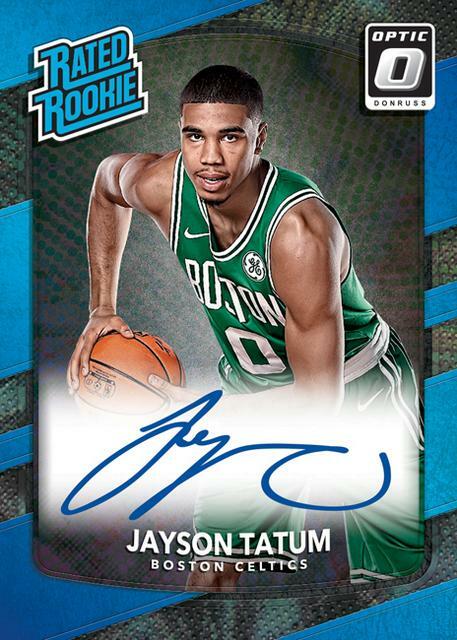 - Collect the incredibly talented 2017-18 NBA rookie class with ON-CARD Rated Rookie Signatures! with some of the biggest veteran, retired & legendary players to ever play the game! 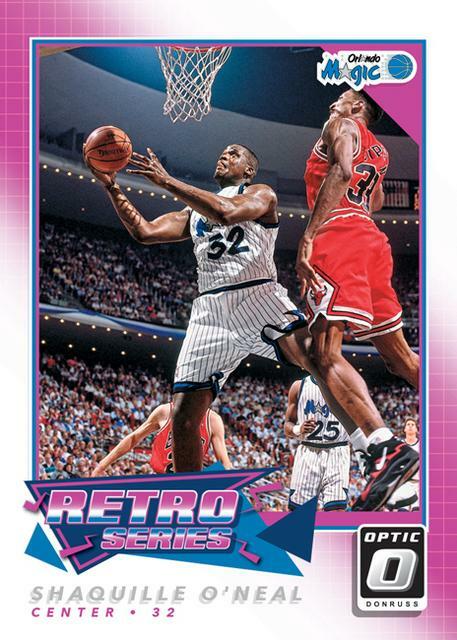 - 20 Inserts/Parallels in Every Box! 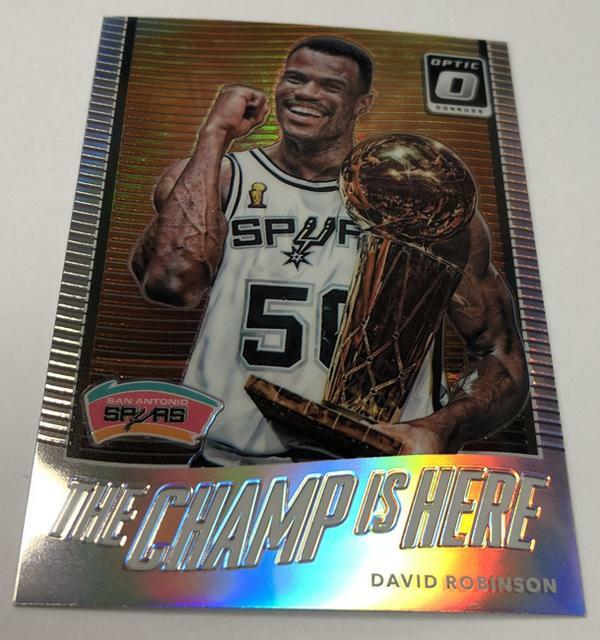 with favorites such as The Rookies, All-Stars & The Champ is here! 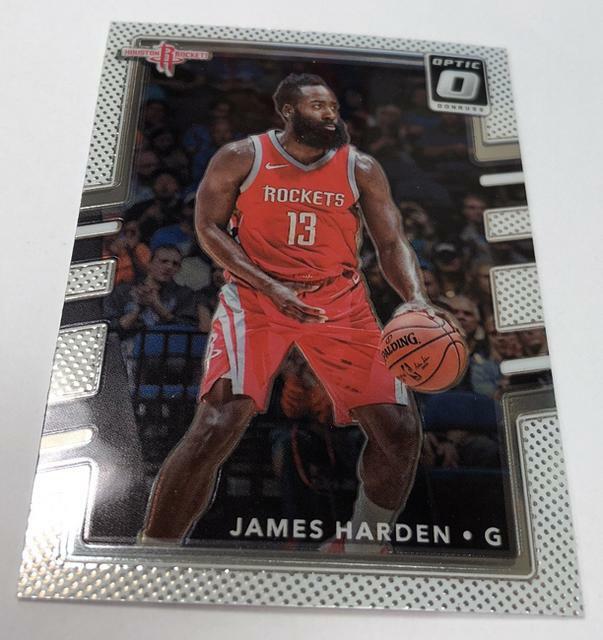 - Each has Prizm Parallels, some #’d/149 down to one-of-one! and brand new Velocity Pink and Velocity Black! 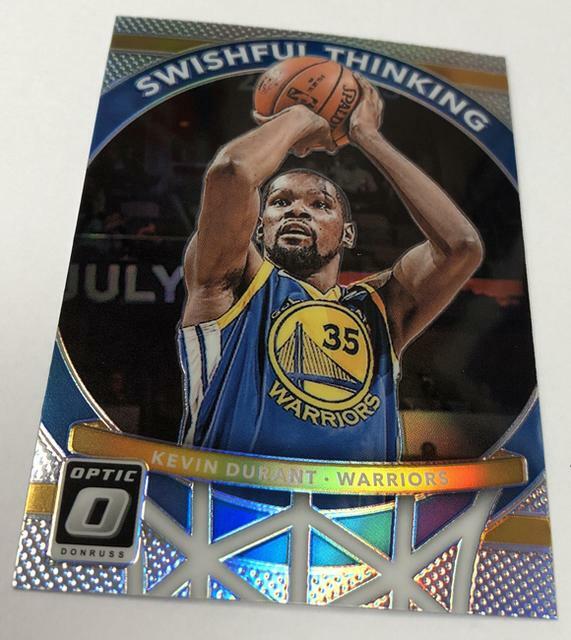 We’ll have plenty more on 2017-18 Donruss Optic in the coming weeks right here on The Knight’s Lance. from Dennis Smith Jr., Donovan Mitchell, Jayson Tatum, Kyle Kuzma, Lauri Markkanen, Lonzo Ball or Markelle Fultz. 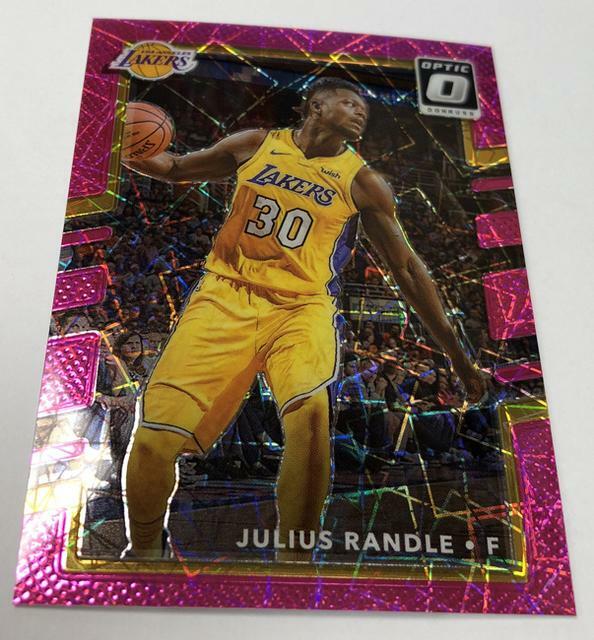 and retired stars with Pink, Gold (/10) and 1/1 Black parallels among the rainbow. 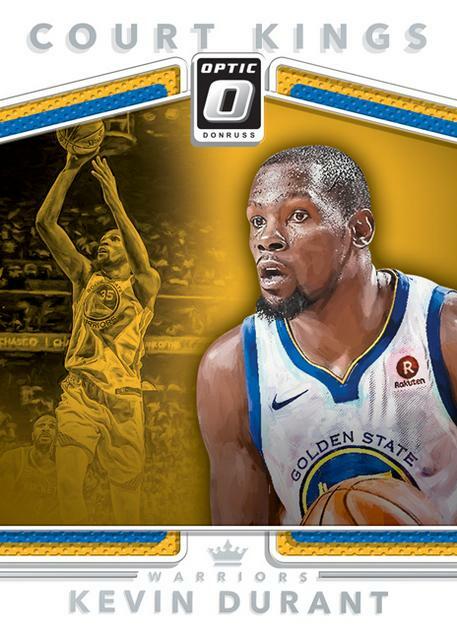 There will be 18 inserts or parallels per box. Boxes will carry a suggested retail price of $90. 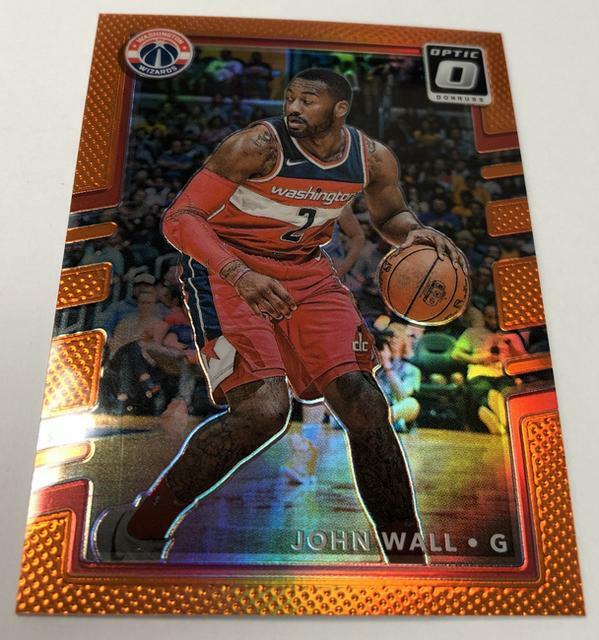 Just like '17-18 Prizm, 2017-18 Donruss Optic includes a Fast Break format. The Fast Break Signatures set is another exclusive choice, highlighting notable rookie, veteran and retired stars. 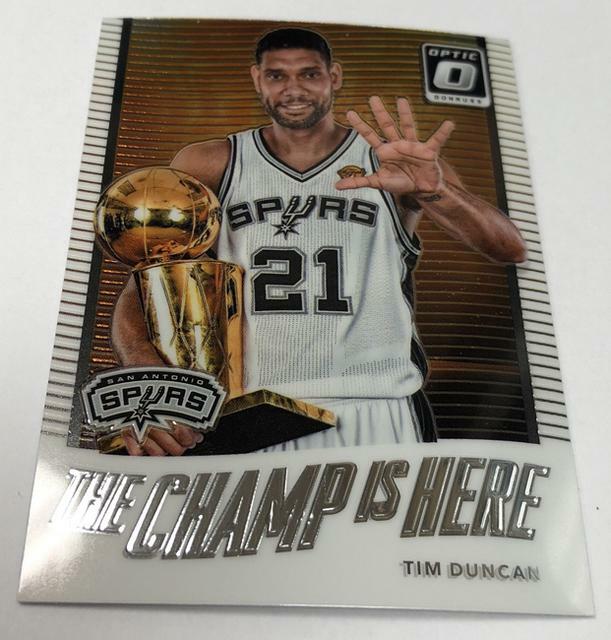 These also have low-numbered Gold (#/10) and Black (1/1) parallels. 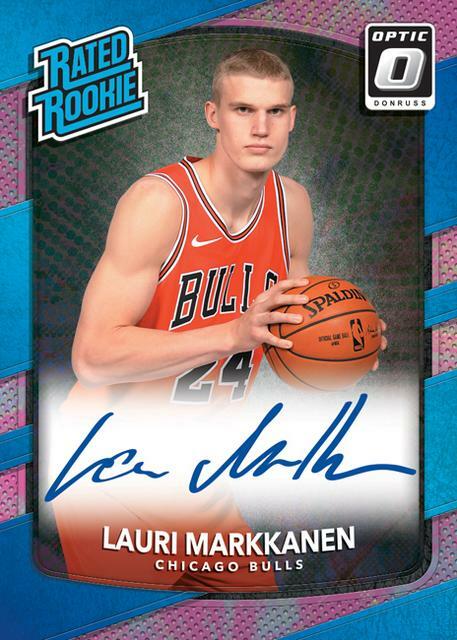 Donovan Mitchell, Jayson Tatum, Kyle Kuzma, Lauri Markkanen, Lonzo Ball or Markelle Fultz. 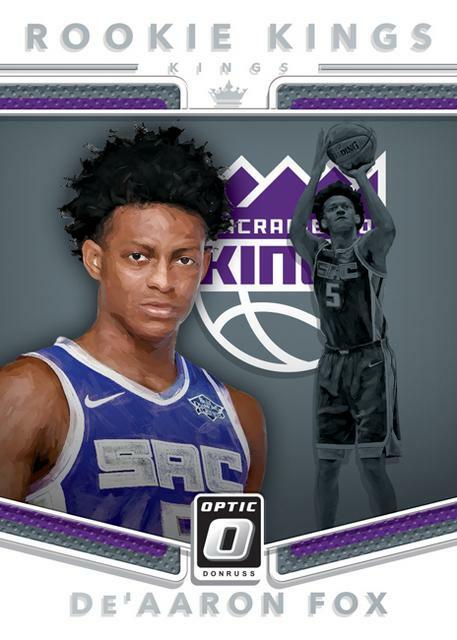 Kyle Kuzma, Lauri Markkanen, Lonzo Ball or Markelle Fultz! 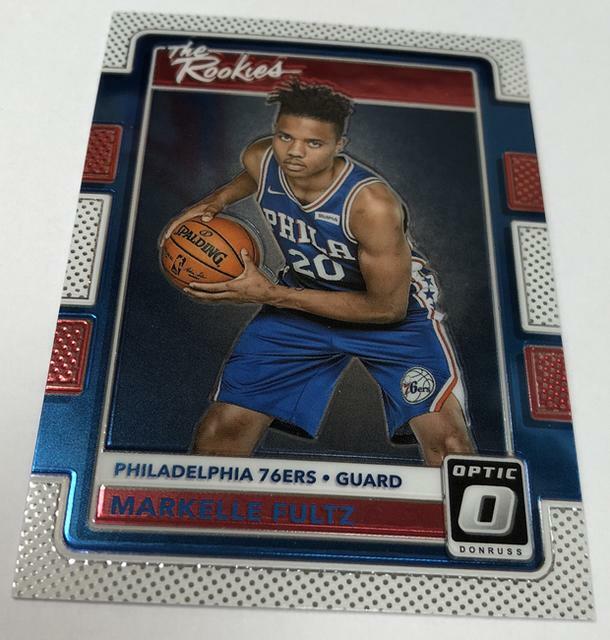 - Look for your favorite players on Fast Break exclusive Prizm card stock! - Find eight different exclusive parallels numbered as low as one-of-one! Dennis Smith Jr., Donovan Mitchell, Jayson Tatum, Kyle Kuzma, Lauri Markkanen, Lonzo Ball or Markelle Fultz! 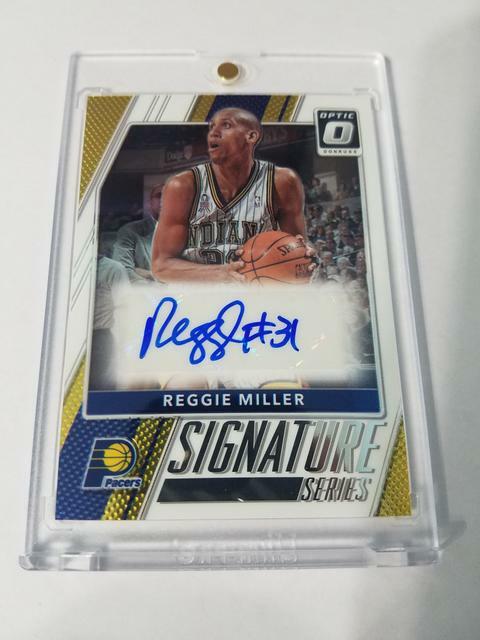 - Find exclusive Fast Break Signatures incorporating the NBA’s best rookies, veterans and legends! 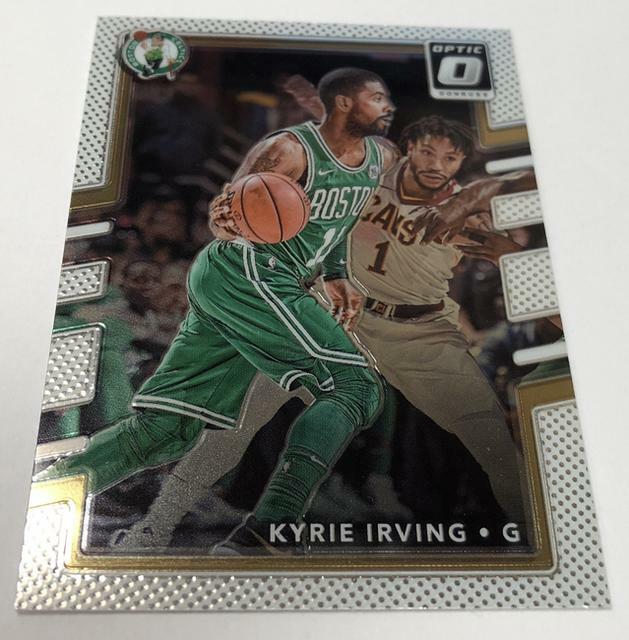 - Look for Gold (#’d/10) and Black (#’d/1) parallels! 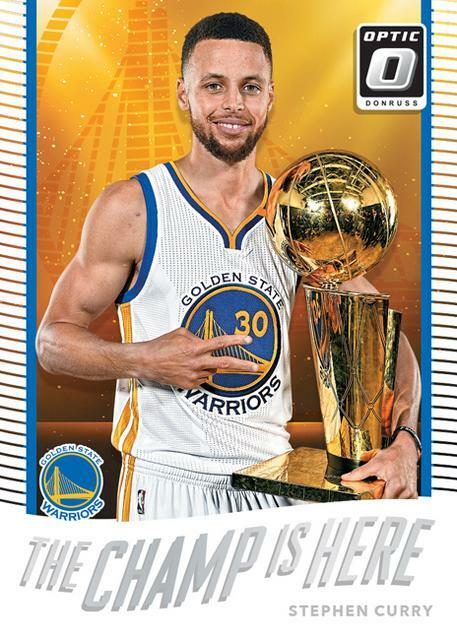 with returning sets, The Champ is Here, The Rookies, and All-Stars! 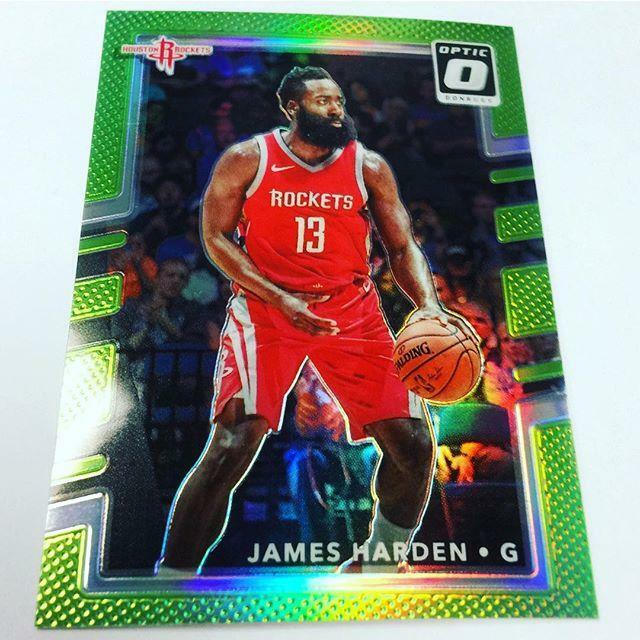 Green #/5, Gold Vinyl 1/1. 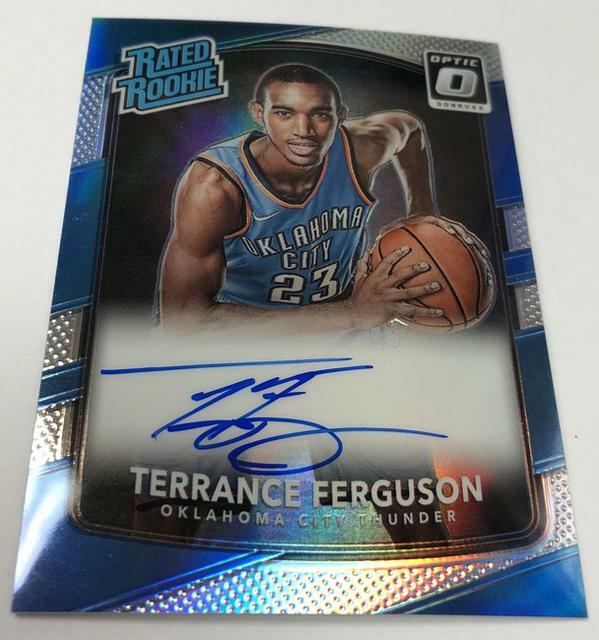 a rainbow array of Prizm parallels and hard-signed Rated Rookie autographs. 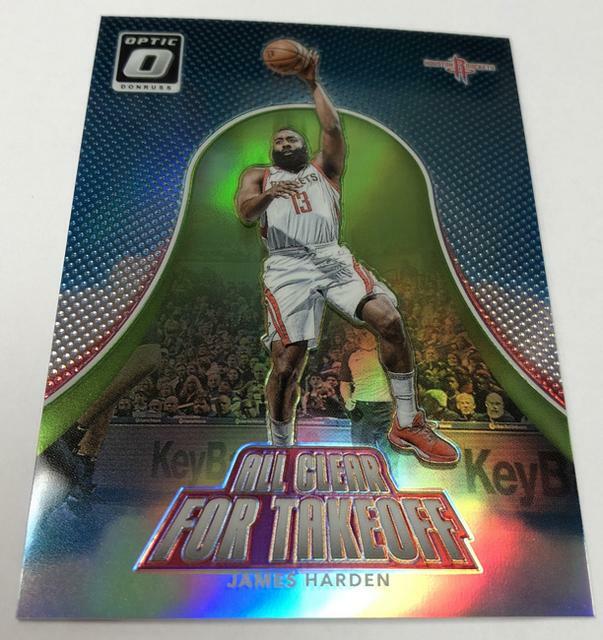 by showcasing just some of the cards that surfaced during the recent packout process. 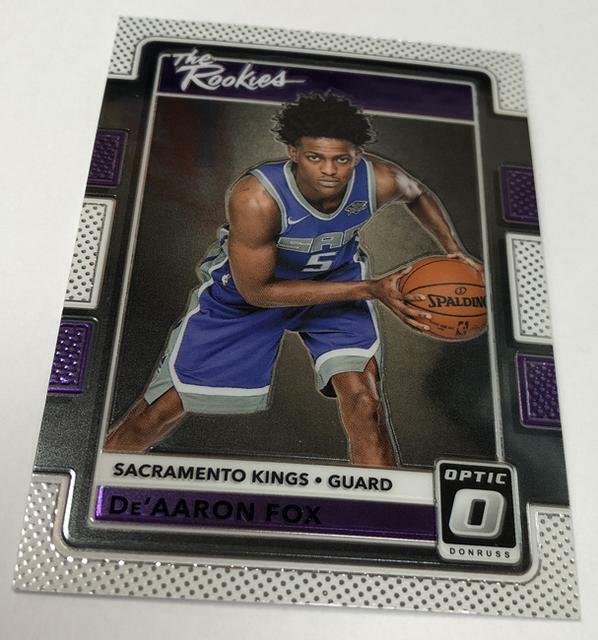 Enjoy the Quality Control Gallery and be sure to visit iCollectPanini.com on Wednesday starting at 10 a.m.
exclusive Purple Stars parallels numbered to just 13. 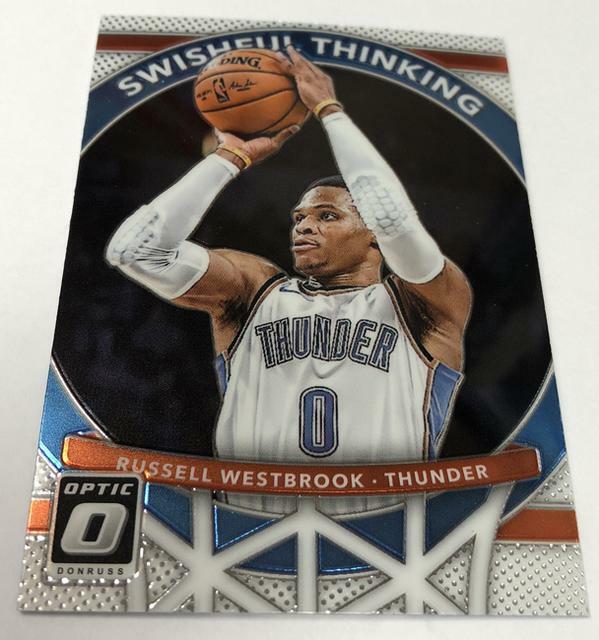 1st Off The Line product launches at 10 a.m.
CST today when the preorder window opens for the 1st Off The Line edition of 2017-18 Donruss Optic. 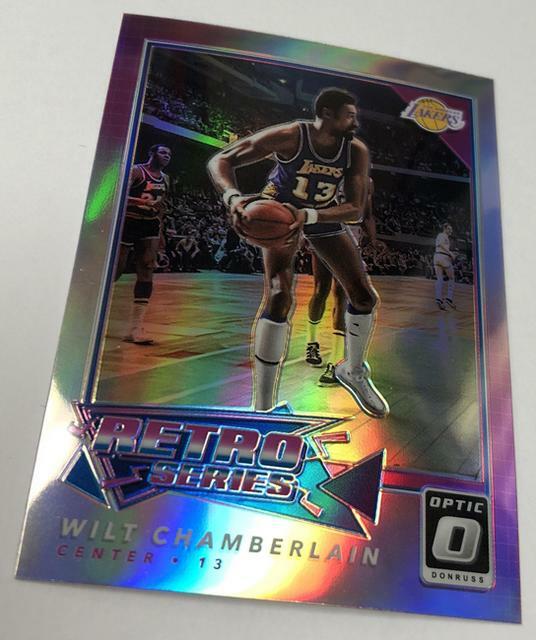 and 20 parallels/inserts, including one FOTL-exclusive Purple Stars parallels numbered to only 13. Teaser Gallery post something of an Optical allusion. 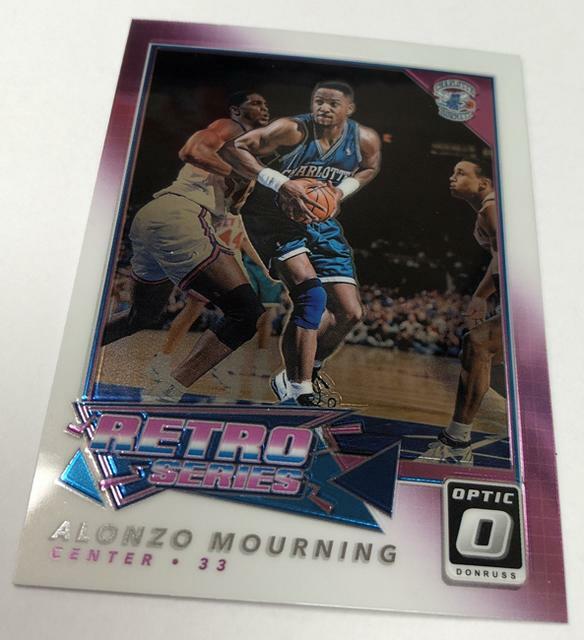 You know, a post that alludes to Donruss Optic’s impending release. 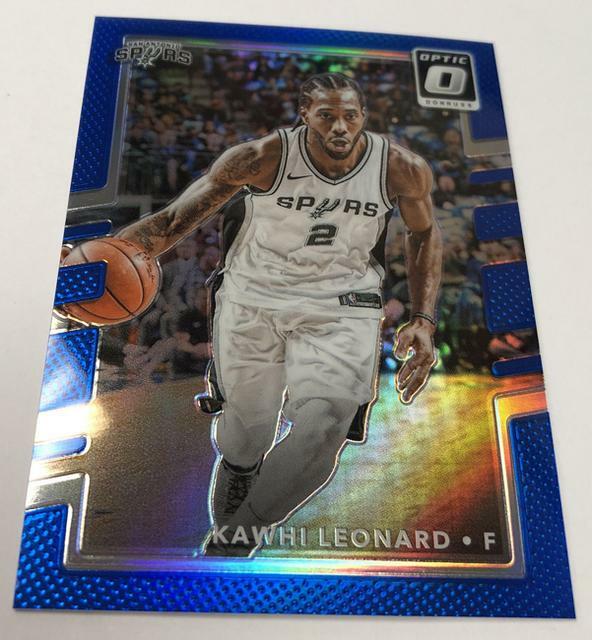 dive into 2017-18 Donruss Optic. with a pack-by-pack exploration of three early boxes. and at least 10 Prizms. Enjoy the sneak peek and stay tuned to The Knight’s Lance for additional coverage. trés surpris et content de revoir du RONNY TURIAF dans cette collection, avec différentes paralelles, et sous maillot Lakers, c'est cool !!!! 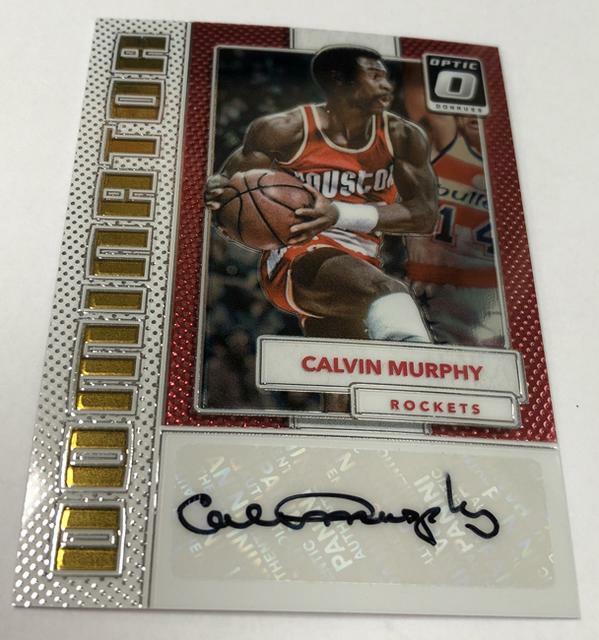 Ouaip c'est cool, et y a de quoi faire en Autos de frenchie dans cette collection !!! 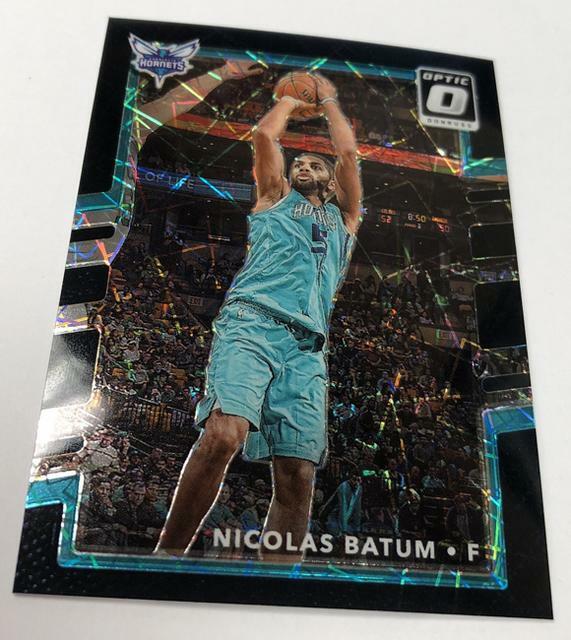 Punaise, ils ont craqué chez Panini la ! !